A HIV/AIDS workplace prevention program which includes training programs, voluntary counselling and testing, treatment campaigns, monitoring & evaluation and prevention activities. This is a three-year HIV/AIDS workplace program for the employees and dependents of the Congolaise Industrielle des Bois (CIB), a subsidiary of the Danish timber trading company DLH. The company is involved in the trading of sustainable timber. With 1,700 employees, DLH/CIB is the main provider of jobs in the region. Most of the employees of DLH/CIB live in Pokola, a rapidly growing community with around 13,000 mostly young inhabitants. The partnership mitigates the health impact of HIV/AIDS among the employees of DLH/CIB by keeping HIV-negative people 'negative' and the HIV-positive people healthy and working. Danida is the term used for Denmark’s development cooperation, which is an area of activity under the Ministry of Foreign Affairs of Denmark. Denmark’s development policy aims to combat fighting poverty through promotion of human rights and economic growth. Danida has responsibility for the planning, implementation and quality assurance of Denmark’s development cooperation. There are local and posted staff at Danish embassies and missions abroad who are responsible for the administration and management of Denmark’s development cooperation with the individual country. PharmAccess is an international, not-for-profit organization of Dutch origin. The company's mission is to improve access to quality health care in low-income countries in Africa, through building sustainable health systems and applying innovative financing mechanisms. They stablish public-private partnerships with local organizations and use an output-based approach. PharmAccess was founded in 2001 and is its key activities are currently focused on 10 African countries. Their head office is in Amsterdam and we have country offices in Tanzania, Nigeria, Kenya, Namibia and Ghana. Their activities are financed by donors and clients, such as the Dutch Ministry of Foreign Affairs, the World Bank, United States Agency for International Development (USAID), multinational corporations and the Rockefeller Foundation. clinical and operational research programs. PharmAccess co-initiated the Health Insurance Fund (HIF), the Investment Fund for Health in Africa (IFHA), the Medical Credit Fund (MCF) and SafeCare. These organizations form a cluster with a common heritage and shared vision, and together aim to achieve impact through a mix of innovation and implementation. Traditional means of channelling donor funds through the public system to improve facilities and overall health care in developing countries has proven to be insufficient. They consider healthcare delivery as a value chain where all elements of the health system – hospitals and clinics, laboratories, medication, administrative systems, financing and patients – must be present to enable the delivery of quality care. Developing an optimally functioning health system therefore requires an alignment of both demand and supply of health care combined with a focus on improving efficiency and quality of care. They value the potential influence that health insurance and health insurers have in ensuring the functioning and sustainability of a well-oiled system. To achieve this, PharmAccess supports programs and offers services in the areas of medical and administrative capacity building, health insurance, medical credit funds, HIV/AIDS and healthcare workplace programs, health investments, development of novel health products and services, and the collection of key information on health systems in developing countries. Subsidizing health insurance, which enables people to access health services and offers health providers a secured income. providing affordable debt financing (credit) through MCF, which enables healthcare providers to construct additional facilities or renovate existing facilities, purchase (specialized) equipment, and offer additional medical services. PharmAccess Foundation is a fast growing international organization aiming to improve access to affordable quality basic health care in low-income countries in Africa at the bottom of the pyramid. PharmAccess introduces a new approach, which advocates a different organization of healthcare delivery and contributes to the building of sustainable health systems and a sustainable health care economy. Dalhoff Larsen & Horneman A/S is a supplier of timber and timber products manufactured from sustainably produced raw materials. Their ambition is to be the leading wholesaler of wood in the markets and segments DLH chooses to serve with wood from a global sourcing network. DLH set the pace, drive the development, have a strong offer to the customers and also have the size, the scale and a responsible way of doing business that makes DLH attractive to do business with for the group’s suppliers. Since its foundation in 1908, Dalhoff Larsen & Horneman A/S (DLH) has been trading in timber and timber products worldwide. DLH’s ambition is to strengthen its position as a global leading wholesaler of timber and timber products manufactured in accordance with environmental and social standards. 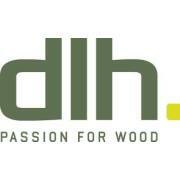 DLH supplies products primarily to the building and construction industry and to the furniture industry. DLH is headquartered in Høje Taastrup, Denmark, and operates globally, being the major sales markets Europe, USA and Russia and the major sourcing markets South America, Africa and Asia. Corporate Social Responsibility (CSR) in DLH is about being responsible when we do business. It is about preserving the forests and nature we depend on. It is about securing the rights and well-being of every employee and being a responsible member of the local communities we engage in. Last but not least it is about promoting sustainable forestry to our customers, suppliers and other stakeholders. The company believes in responsible, sustainable yet profitable forest management is the only way to secure the world’s forests on a long-term basis. Because they intend to be dealing with wood also in another 100 years, they simply cannot afford to think on a short-term basis. CSR today is critical for the success of tomorrow. For many years, DLH owned and managed forests in Congo-Brazzaville, Gabon and Brazil in a sustainable manner. In Congo-Brazzaville, DLH managed the largest area of FSC certified natural tropical rainforest in Africa. DLH has therefore acquired extensive knowledge within sustainable forestry and we have now made this knowledge available to our suppliers. Since 2006, we have been assisting a number of our suppliers in achieving verification of legality and legal compliance as a stepwise approach to sustainability certification. DLH employs approximately 800 people around the world. Our multicultural workforce is the fundament in the DLH house of values. With our global presence and activities we cultivate local development, create local employment opportunities and support local businesses and infrastructure. The nature of our business brings us in contact with a wide variety of people, local communities, indigenous peoples and organizations worldwide. As a global company, we do business in countries with diverse business and cultural practices, as well as legal frameworks, regarding the respect and uphold of labour and human rights. Approximately 70% of our sourcing activities are conducted in countries considered of risk. It is therefore our responsibility to ensure that we do not directly or indirectly benefit from, contribute to, endorse, or in any way facilitate violations of human and labour rights. In order to do so, we have further developed our Good Supplier Programme in 2010. The main purpose has been to make this tool more encompassing regarding labour and human rights. From 2011/2012, the new revised tool will allow us to collect information on our suppliers’ performance on social and human rights. At DLH we support the UN Universal Declaration of Human Rights and the core ILO conventions on the elimination of forced labour, discrimination, abolition of the worst forms of child labour, minimum age for work, freedom of association, right to organize and collective bargaining and remuneration. At DLH, CSR includes environmental and social responsibilities. Their CSR strategy consists of interrelated policies, which together define the scope of our CSR focus areas. DLH's house of values (corporate values). Responsibility forms the roof of the DLH house of values, meaning that we want to be responsible in all aspects of our business. Our CSR policies guide how we put our values into action and act as a responsible company. In February 2010, DLH officially joined the United Nation's Global Compact, the world's largest network of companies and organisations working actively on CSR.